room for both transmitter, receiver and a large 6 W loudspeaker. power of 25 W on all possible channels. required in USA. – weather channels etc. • Can be programmed with up to 40 private channels. • Prepared for DSC, Digital Selcall, (GMDSS). channel 16, has full priority. totally sealed construction with night-time illumination. 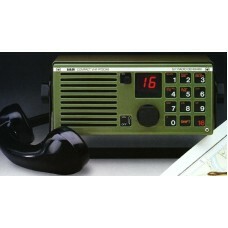 To supply VHF RT2048 from 24V DC.